Alex sent me this story from news.bbc.co.uk. 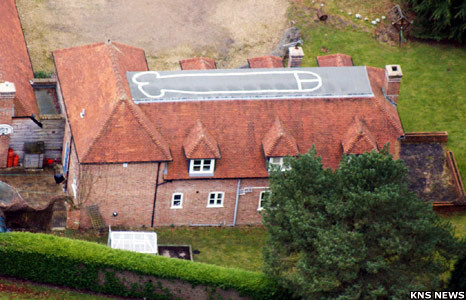 An 18-year-old has secretly painted a 60ft drawing of a phallus on the roof of his parents’ �1million mansion in Berkshire. It was there for a year before his parents found out. They say he’ll have to scrub it off when he gets back from travelling. Amusing but I have some questions. How did his parents know it was there for a year? How did they know that it was there son who drew it? Perhaps he ‘fessed-up to the crime? Come on Aunt Beeb, give us answers!